The Johnston County Board of Commissioners announced Friday the hiring of Jocelyn Andrews as the new Johnston County Tax Administrator. Mrs. Andrews will replace Sheila Garner who is retiring September 1st. 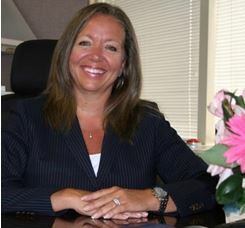 Andrews is currently the Chief Operating Officer with the North Carolina Department of Revenue, a position which she has held since 2016. Mrs. Andrews has had an extensive career with the Department of Revenue, including having held positions as Auditor, Special Agent, Assistant Director and later Director of Tax Enforcement Division, and the Assistant Secretary of Tax Administration. Andrews graduated from Campbell University with a degree in Accounting. She is a longtime resident of Johnston County, where she and her husband have two sons and a daughter-in-law, and are members of First Baptist Church in Smithfield. “I am looking forward to serving the residents of Johnston County by administering a fair and equitable tax system, that funds the services benefiting the people, while investing in employees to help make Johnston County the residence, destination and employer of choice”, said Andrews. Jocelyn Andrews will assume the position of Johnston County Tax Administrator on October 1, 2018, with an annual salary of $100,000. During the month of September, Assistant Tax Administrator Dennis Woodward will serve as the interim tax administrator.